Do you believe when government gets involved in private sectors like public education and healthcare that prices go up? What are some of the efforts you’ve been making to help in moving legislature towards bipartisanship? What is your opinion of the Bears Ears National monument, and how we can move forward to protect the people and our national resources? 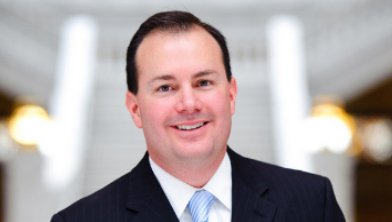 This live, interactive Vekeo event was hosted by Senator Mike Lee. The opening conversation was about healthcare and Senator Lee's opposition to Obamacare. Callers were concerned about Congress’ failure to address the nation’s deteriorating fiscal situation. There was additional discussion on the future of Bears Ears National Monument and how this will impact southern Utah. Senator Lee says he is joining hands with others to introduce the passage of bipartisan legislation. Senator Lee discussed the REINS Act. This gives the American people a greater voice in reducing and holding executive agencies accountable. He also introduced the Social Capital Project that was released this week as part of his work as on the Joint Economic Committee, of which he is vice-chairman.